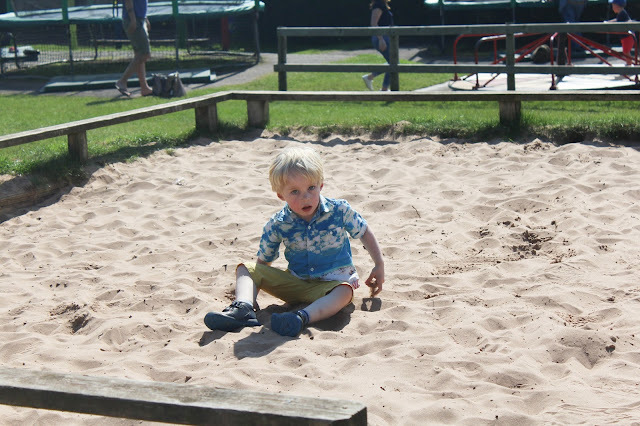 Continuing on our #DevonEggHunt adventures, we have been continuing to make the most out of #EasterInDevon by visiting some more of the countys best tourist attractions...following on from our visit to Killerton House a few days ago, we spent Sunday at the fabulous World Of Country Life in Exmouth. 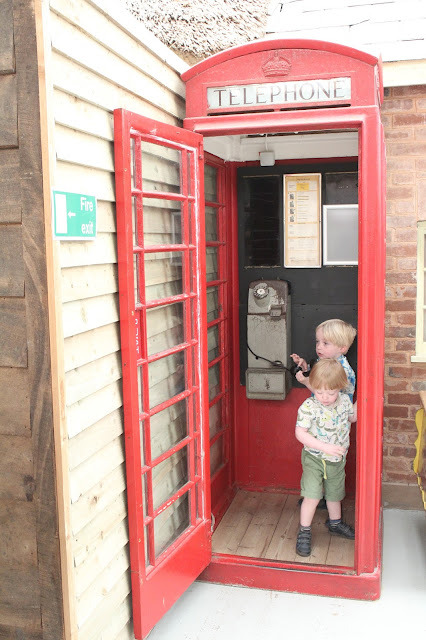 We had visited once before, and so the kids were super excited at the prospect of heading back again...and it did not disappoint! 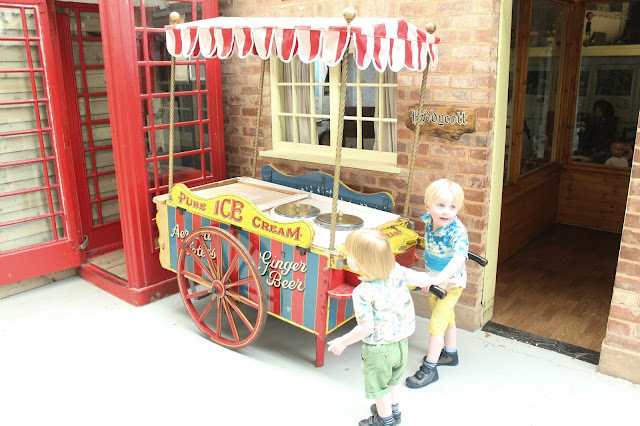 World Of Country Life is quite a unique tourist attraction as it is such a fantastic mix of many things - it is part museum with old fashioned replica houses, pubs and shops that you can walk around (which the kids just love! 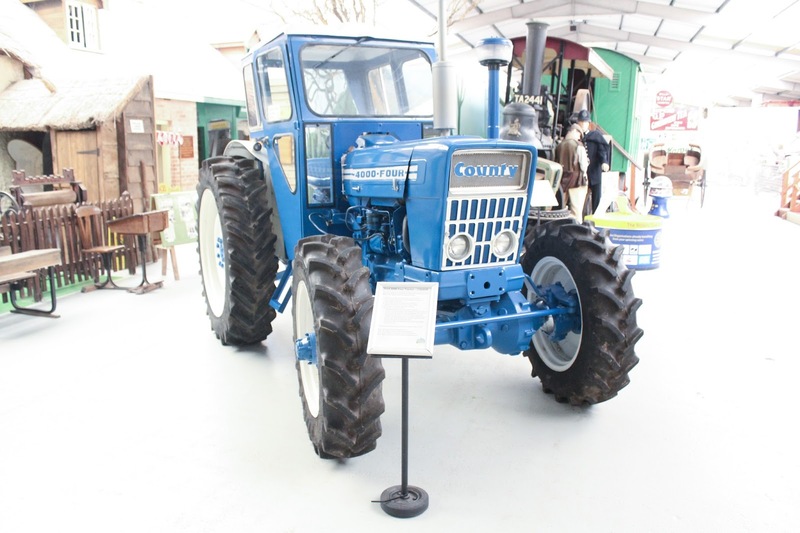 ), Trains and tractors on display (and a gypsy caravan too! 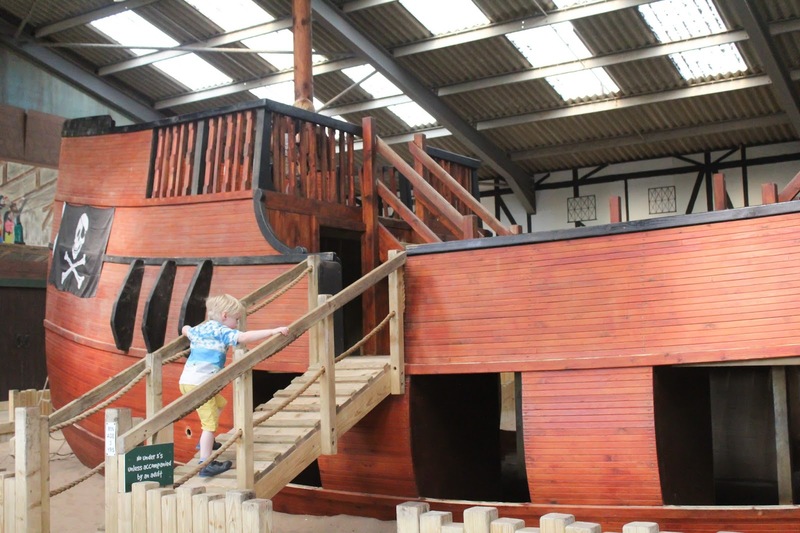 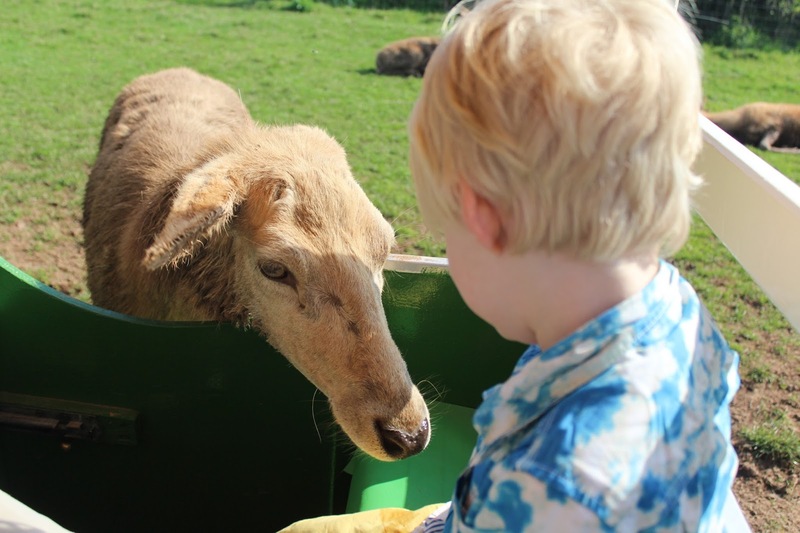 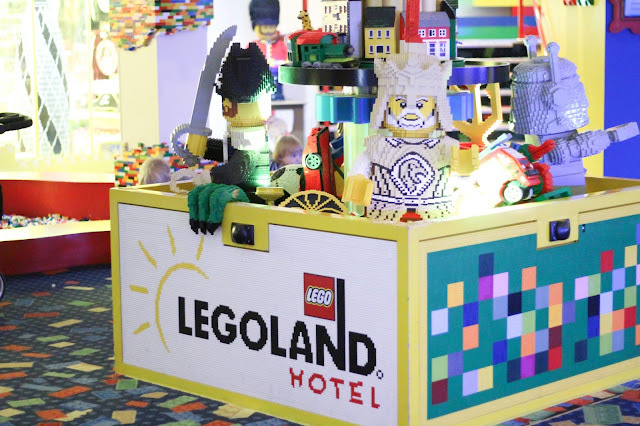 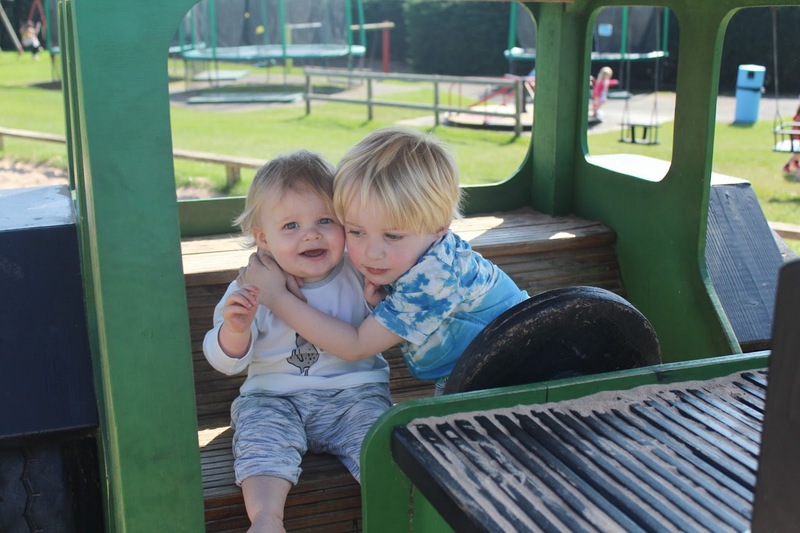 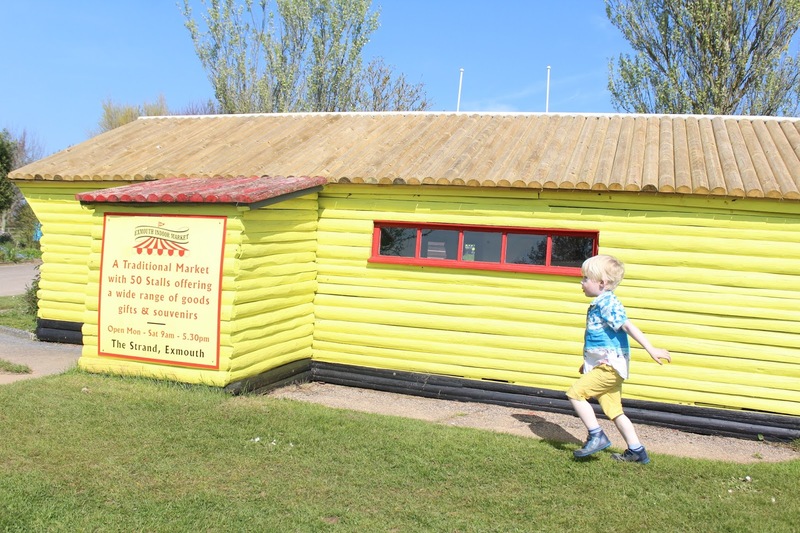 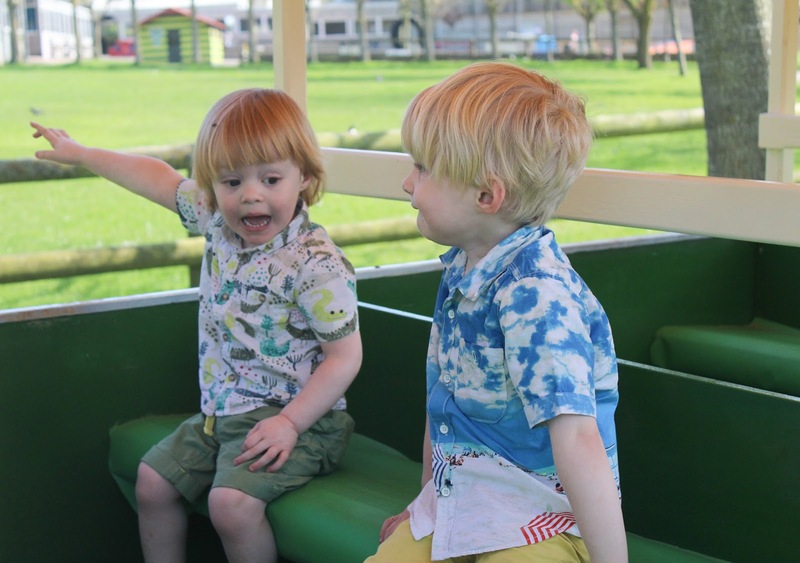 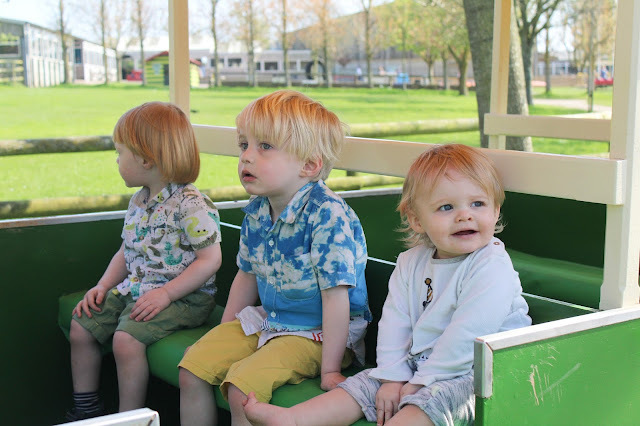 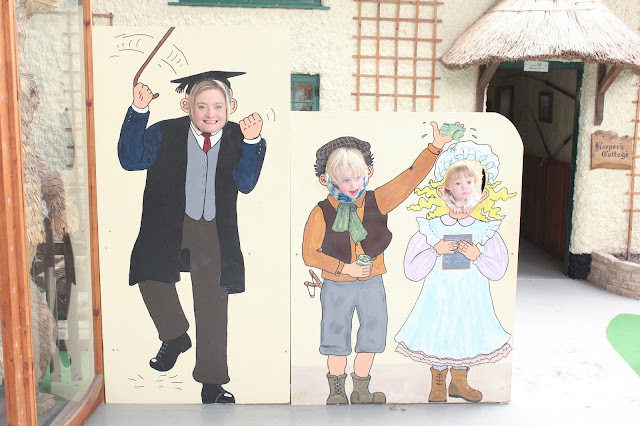 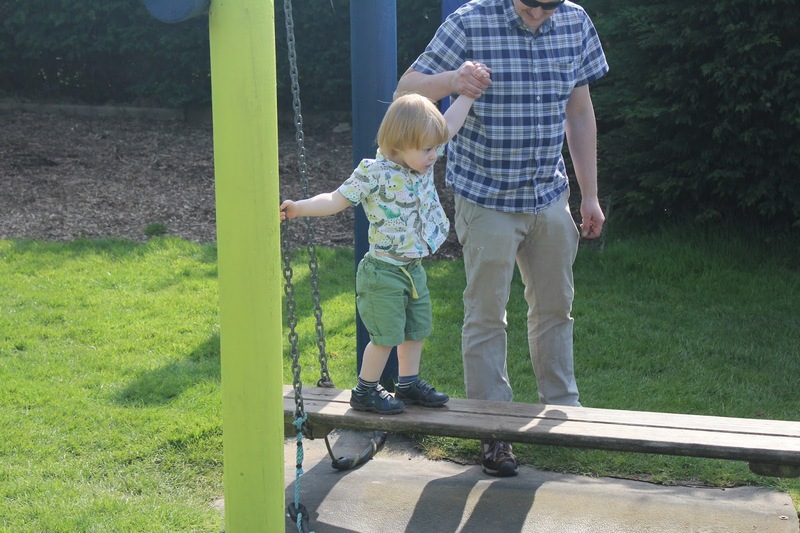 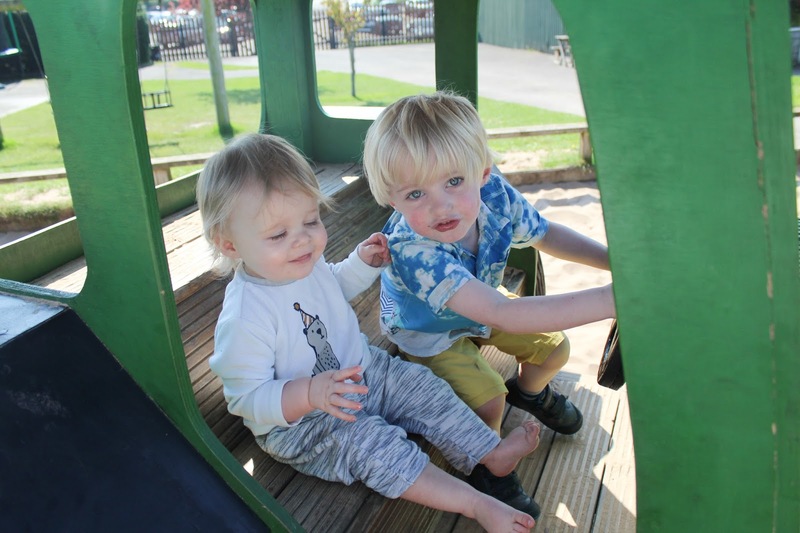 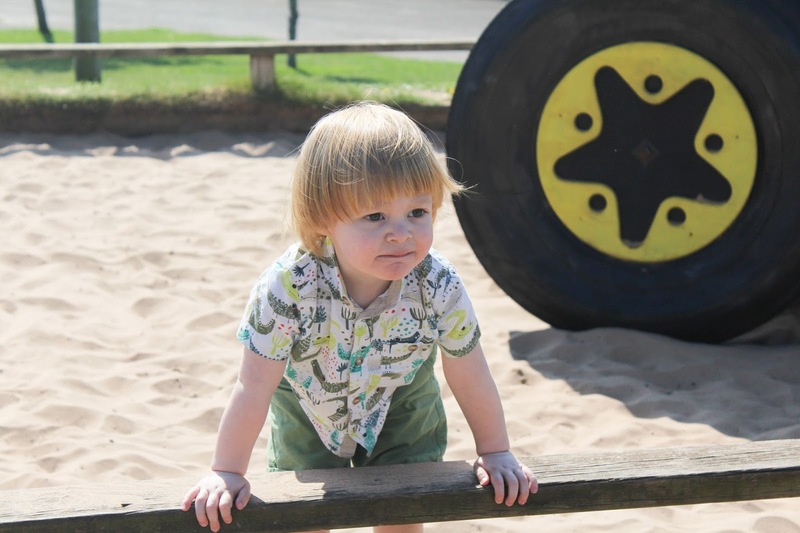 ), farmyard animals, a deer safari, and a fantastic indoor and outdoor play area with everything from bouncy pillows and trampolines, to traditional park finds and even a MASSIVE indoor life size pirate ship that my boys absolutely adore. There really is something on offer for everybody and every possible weather scenario here! 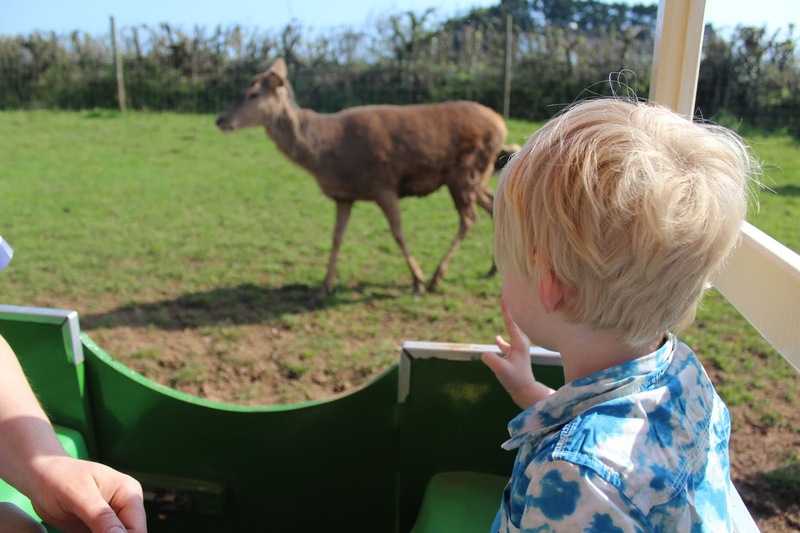 The deer safari is always the highlight for me personally - it is a train pulled along by a tractor, and it took us into the deer enclosure where we parked up - the driver got out and walked along the train giving us all food to give to the deer. 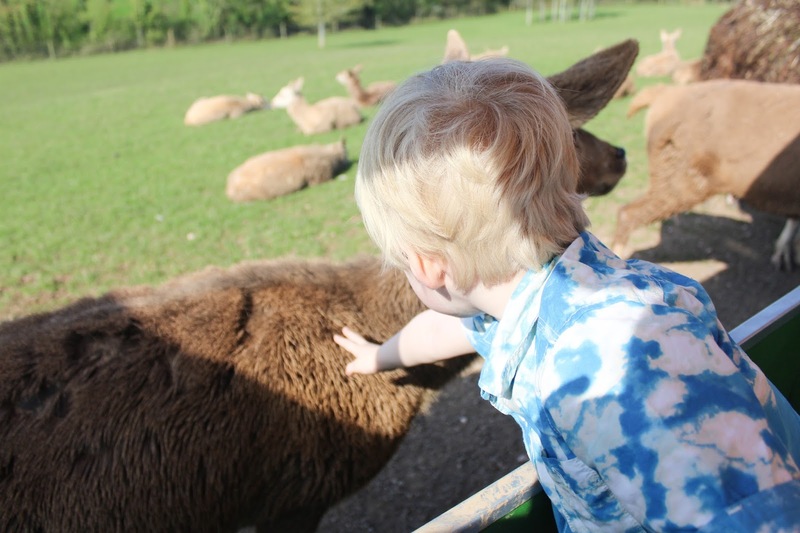 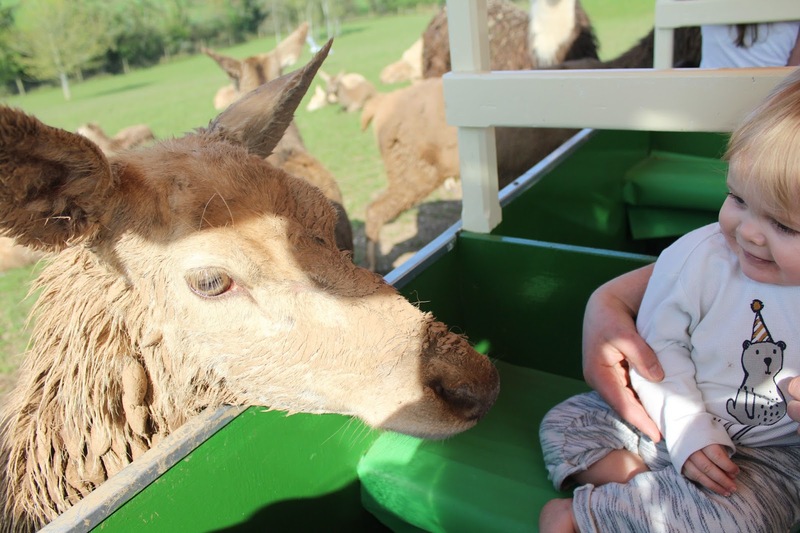 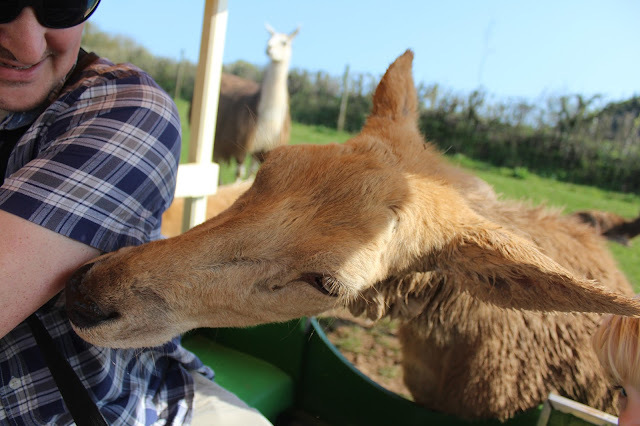 The deer were just beautiful to see, and so very tame - they stuck their heads right into the carriages with no reservations and ate from our hands - Noah was, once again, a little frightened by them getting so close but Tyne and Sailor both loved it! 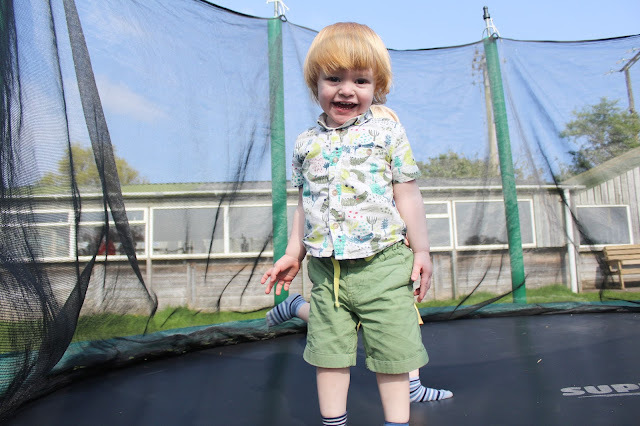 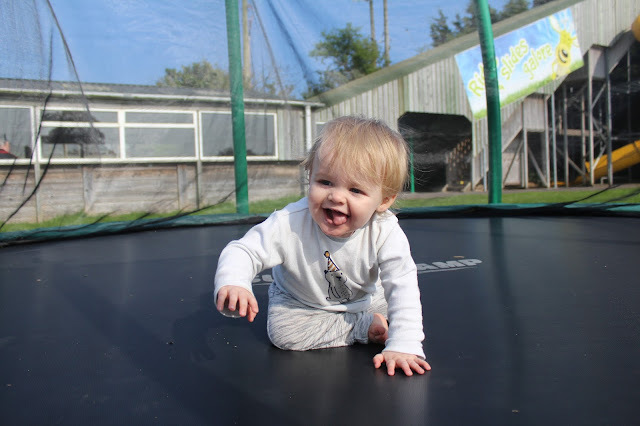 We spent the afternoon letting the boys play on the trampolines, and if you caught my Instagram stories you'll know that Mummy & Daddy also had a sneaky go on the bouncy pillows when nobody else was around which was a lot of fun! 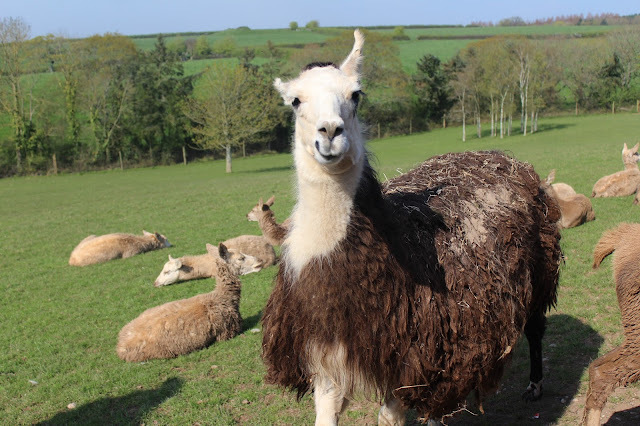 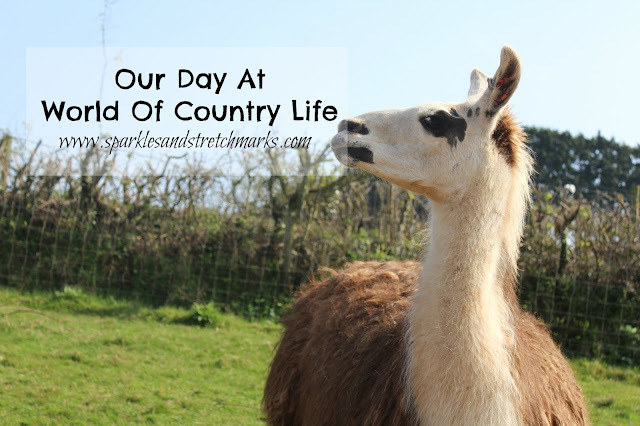 We had an absolutely fantastic afternoon visiting World Of Country Life and would highly recommend it if you're visiting Devon during the Easter holidays, there really is something for everybody...they also often have special events running, such as their upcoming Vintage Car display and Star Wars day where some very special guests will be in attendance!